With temperatures dropping below zero (farenheit) and with a windchill of – 25 degrees, it’s a little bit hard to explore a new city, but explore we must! This is my first time in downtown Chicago and so far, despite its self-professed dangerously cold weather, it’s a pretty cool city. And what brings me to Chicago? 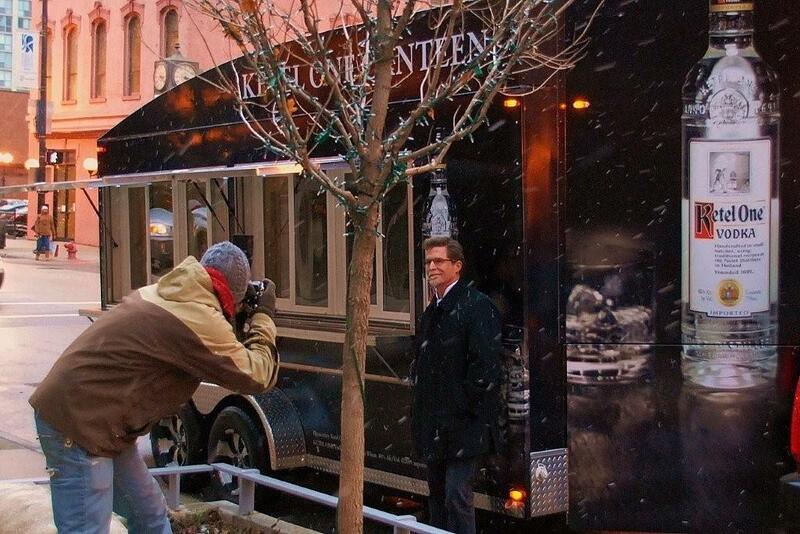 Here’s a picture from the photoshoot that we had with the winner of Bravo TV’s Top Chef Masters, Rick Bayless. Let me just say that while I’ve been here I had a moment of amazement at mother nature. It started snowing, and it was so cold that the snow flakes were keeping their perfect ‘snowflake’ shape. I saw this perfect snowflake that landed on the counter and I honestly couldn’t tear my eyes away. Then, when I was standing in the snow and the snowflakes were landing on my coat…..I kept poking Nathan and saying ‘look at this one, look how perfect this one is! Look how tiny this one is – and still looks like a perfect snowflake‘. It is crazy that mother nature can make something so intricate and delicate!